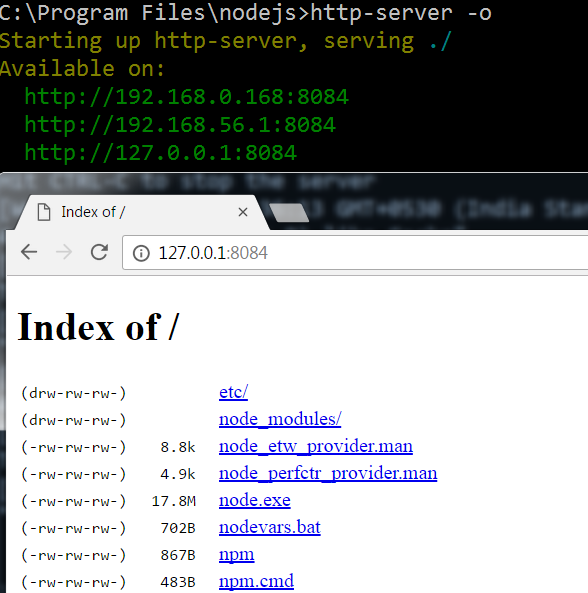 In this post we will be discussing about creating your first application or simply say first server in Node.js. 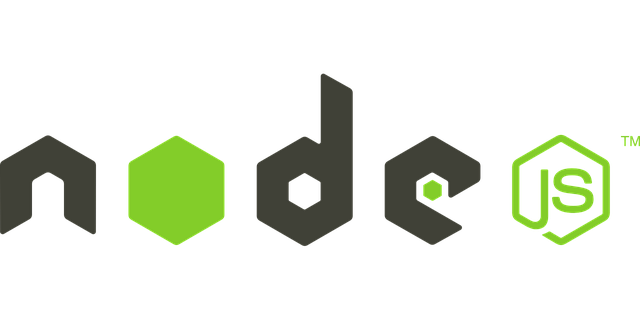 Node.js is an open source, cross-platform run-time environment for developing server-side web applications. The main idea of Node.js is to use non-blocking, event-driven I/O to remain lightweight and efficient to build real-time applications which will run across distributed devices. In the above code we have created an instance of http module and called the createServer() method to create a server. The listen method is used to bind the server to a port (i.e. 3000). We also have a function with request and response parameter. We have then used the response parameter to send the status and the content-type to the client which will access this server along with the message to be displayed on the client screen. Next we are logging the message in our console that the server is running on http://localhost:3000.
http-server is a simple, zero-configuration command-line http server. You need to install it via npm using the below command which will install http-server globally so that it may run from the command line. 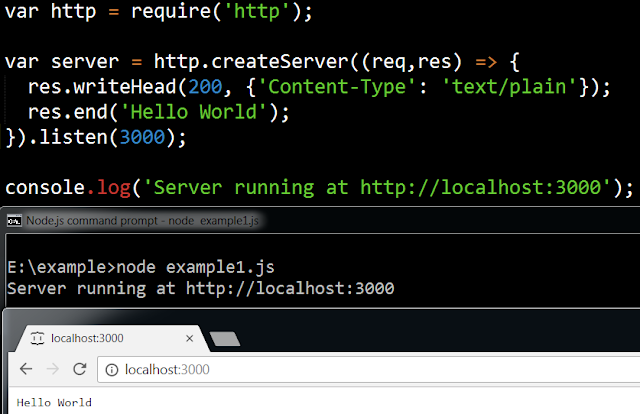 To start the server type http-server -o which will open the browser after creating the server. Express is a minimal and flexible Node.js web application framework that provides a robust set of features to develop web and mobile applications. Before creating the Node.js server using Express.js you need to install Express Framework which can be done by referring Getting Started with Express - Installation and Setup. To get started with the basic project in Express you need to have a variable of "Express" libraries and a variable of application on top of your app.js as shown below. Next we need to set up the some of the app environments as shown in the below code.The first app setting defines the port where your application will communicate, the second app settings tells your app where to find its views and the third app settings defines the engine which will render those views. The next step is to creating a basic command to display some text on the web browser as shown below. Then we need a server to listen to requests pending for your application as shown below. Once done you will run the application by node app.js. If everything is right you can see that the server is listening on port 5000 and when you open http://localhost:5000 in the browser you can see the text you have written earlier.